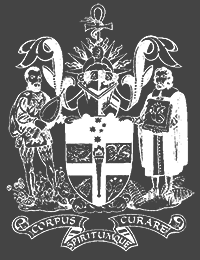 In 1952, 40 men and women formed the Faculty of Anaesthetists at the Royal Australasian College of Surgeons. They were some of the leading names of anaesthesia practice in Australia and New Zealand during the 20th Century. Lives of the Fellows: 1952 is part of an ongoing project uncovering the stories of Faculty and College Fellows. They are presented in an online exhibition from the Geoffrey Kaye Museum of Anaesthetic History. Research for the founding Fellows is still underway. If you have any further information you can add to the existing biographies, please contact us: museum@anzca.edu.au or complete our contribute form.